Join us for our 5th Birthday Bash! 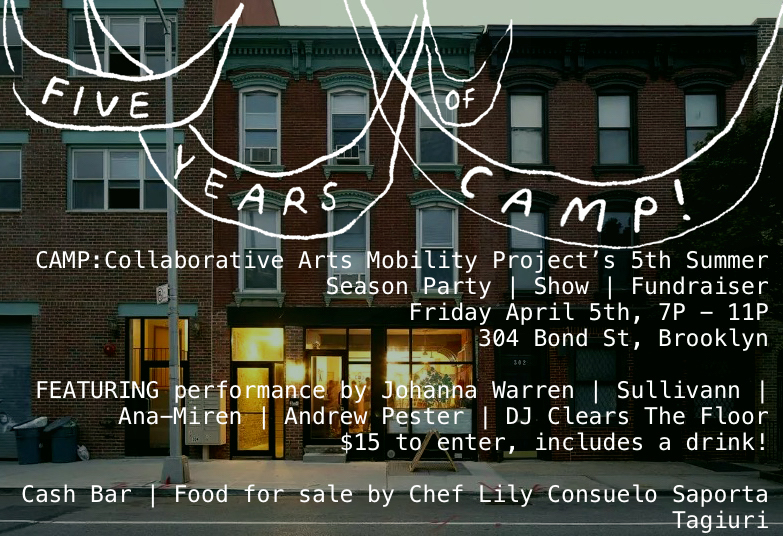 Party | Performance | Drinks | Food by CAMP Chef Alums | and more! $15 to enter, includes a drink! All proceeds go directly to CAMP! 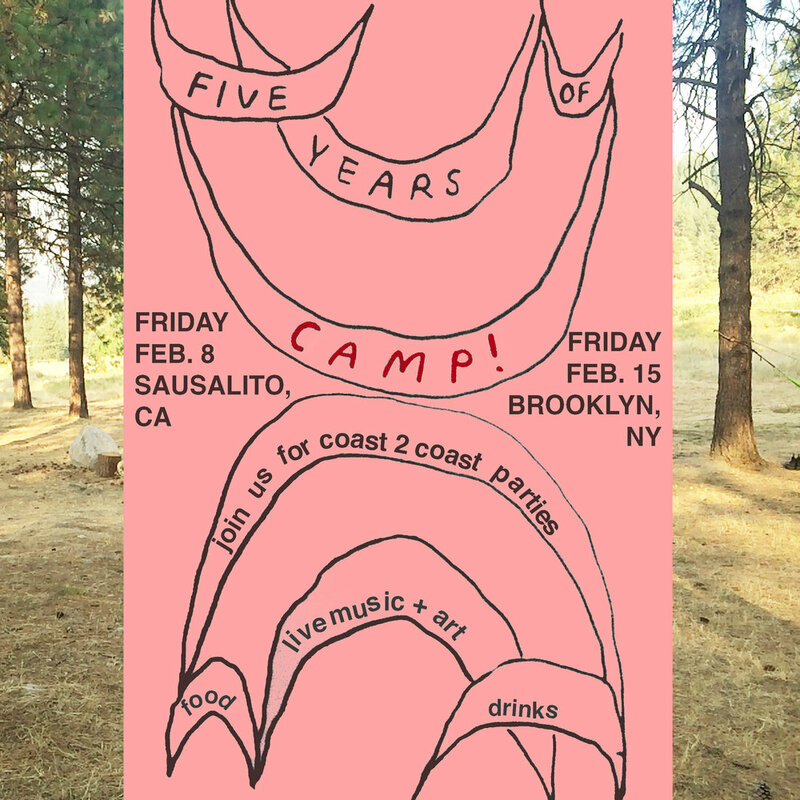 CAMP's 5th Anniversary Parties in SF and NYC! Come support CAMP as we enter our 5th season. Two parties on two coasts! Fundraisers are coming up in February! Closing Party this Saturday in San Francisco!